2009 March « This teens tired of being overweight! I have been taking this protein powder for about four months now and I am seeing some surprising results, it really works!! Really? It works? How does it work? The protein powder I have been taking for the past four months is called “Night Trainer”. It’s a special chocolate flavored drink your only supposed to take before bed time. Its supposed to help you regain energy after a work out, you don’t tire as easy when you lift weights. Alright I’ll take your word on that, how do I take it? It comes with a special scooper already, you take a single heaping amount of Night Trainer into your cup. Add some milk stir it in and drink it. Its a really sticky mixture and can freeze like cement on your spoon, so just be aware =D. I’m dedicating this post to the benefits of fruits and vegetables, since there are so many different types of fruits and vegetables I will only be discussing about the most common fruits and vegetables. What do you mean by benefits exactly? By benefits I mean as what they can actually do, how do they effect your body? Celery targets your bones, notice they appear to look like your bones inside and out already. 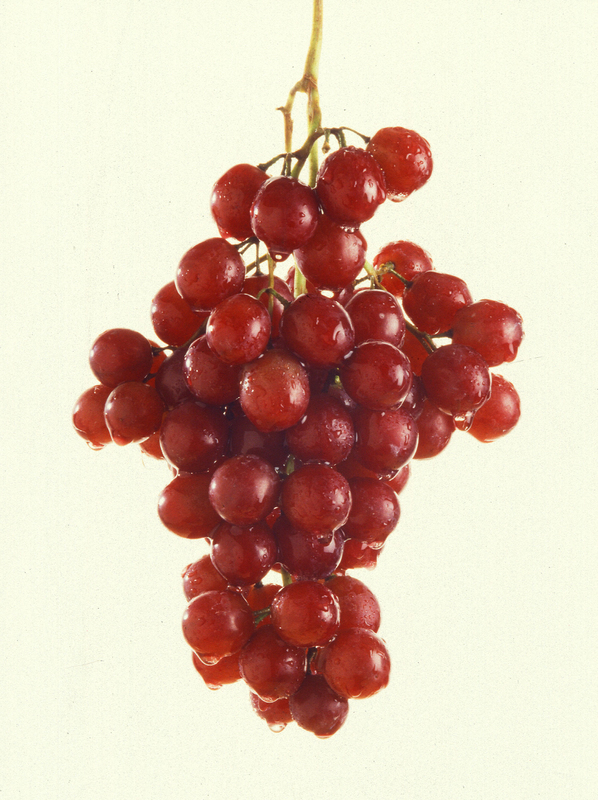 It sends nutrients to your bones to keep them healthy and strong. When your body is running low on sodium it takes sodium from your bones, making them weak. So celery and other vegetables like bok choy and rhubarb revive your bones keeping them strong. If you look on the inside of a carrot (after you take a bite) you will notice the odd rings on the inside, almost transforming into the shape of an eye. As a matter of fact it greatly effects the human eye, it greatly enhances blood flow and funtions of the human eye. The tomato has four chambers on the inside, the tomato is red. That is exactly what our hearts look like inside and out! All research says that the tomato is pure heart and blood food. Bananas are a great source of potassium, it helps to regulate your blood pressure. The potassium in the bananas can also help your muscles contract properly while doing exercises and it reduces cramping. bananas can also help lower sugar cravings. Oranges are extremely beneficial, they help you fight asthma, it helps with proper brain development, it also brings Betacarotene into your body which protects your cells from damage and viruses. These are just a few fruits and vegetables, imagine the benefits of ALL fruits and vegetables! I think everyone should try to maintain a balanced diet of fruits and vegetables, the benefits are worth it :D.
Well that’s it for now, stay tuned for the next update :D.
^ See how determined she is to climb up the face of that cliff, well that’s the same determination you need to get up every morning and work out. I admit it, its not fun at first. You feel worn out and dragged out when you first start a work out schedule to burn off those pounds. But once you get at it, and find your niche for these work out routines you will began to get used to it. So will your body and that will help you get those pounds off. You can’t quit on what you start, you have to force yourself to workout. But you will enjoy the results if you keep at it, you can even see results within two week…but it depends on your schedule. Wow this sounds rough. What should I do to work off these pounds? The treadmill is one of the most recommended workout machines out their, it’s a standard issue workout machine. You can either use the machine, or you can actually go up and down your stair for ten minutes (when you start out) I am actually going up and down my stairs for twenty-five minutes and I am seeing incredible results so I highly recommend doing this :D.
You can either use the machine or you can really go bicycling. Its fun my dad loves to bicycle ride and I do as well, I highly recommend this work out routine =D. I have personally done all of these workout routines, I recommend them all but you don’t need to do them all, just choose the one you think will work best =D. Its simple you just take one out every now and then when your face feels greasy and you wipe it off with the facial wipes. Place the mud over the area(s) that are covered in acne, let the mud dry for about 5 minutes, then wash it off. These procedures and items work for me and I hope will work for you guys as well. Normally in spring time allergies are common for most people (I happen to be one of them). Sneezing, irritated eyes, itchy throat etc. these are all apart of spring times allergy reactions and I have only mentioned a few…and I’m dedicating this post to helping you fight spring time allergies. Okay, what should I do first? When you have a serious allergy problem you should drink plenty of water as a start (to flush out any pollen or substance in your body that is causing you a problem). Next I would suggest that you stay indoors more then spending too much time outside (you will only keep agitating your allergies further by exposing them). Okay I can deal with that, would you suggest that I take anything? Some form of medicine? Benadryl is a great product that really does work. I would suggest you take the liquid children’s Benadryl (my family and I always take liquid childrens benadryl), its easy to take and you only need about a teaspoon worth of it. The only problem with it is that benadryl makes you drowsy, but you’d have to cope with it since it is helping you deal with your allergies. Stay tuned for the next update =D. I’ve been dealing with acne as long as I can remember, through the years I have found useful items that help me combat acne and they actually work. Okay what do you suggest? What have you found exactly? Aloe Vera is typically used to heal burns and sooth your skin, I found it can also quickly heal my skin after taking out some of my acne. This is my first technique. 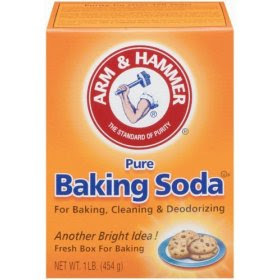 Just normal baking soda, take wet baking soda and spread it over the area in need and it should clear it up =D. Good old sun exposure is the best way to clear up acne hands down. Just go outside whenever you can for at least 30 minutes, you’ll get some color while your at too =D. My skin has pores that are large in comparison to other people, so Acne is a very common thing for me. But I know someday after puberty it won’t be as much of a problem. So I wait and use these techniques, post a comment and let me know your own techniques on how to get rid of Acne =D. The big “how can I stay away from stress” question is becoming far more popular everyday, especially since the economy is in a down slide. The pressure is really set in on us teens since “we are the future” (pressure, pressure, pressure…). How can we simply avoid stress? It’s not like we can’t turn it off, it’s in our faces everyday. We need something to help us get out of it…and I have a few idea’s. Alright if you know what to do, then tell me what should I do? If you have seen my previous post’s (part 1 and part 2) you’ll see I have already had some good advice that works…but is it enough? I know there is even more that you can do right now! 1. First off try to let your problems slide off your shoulders (sound familiar? ), if you ponder over something too much you’ll burn out and your stress levels will increase. 3. Next you have to find a place to chill. Even if it’s just for a few minutes try and find time for yourself. 4. Lastly do not let anyone push you over the edge, ignore incoming insults or problems trying to throw you off guard. Since I can’t be with you and try to help you maybe my advice can. Life can be extremely annoying and privacy can often be invaded…the best thing you can do is to try and set things straight; don’t let it get to you. Stress can also cause health problems if your under it’s influence for too long, you have to find your chill time. Stay tuned for the next update :D.
Take a pinch of Baking Soda and place it on a wet cotton swab, then simply scrub off the tea stain =D. And if you don’t have time to go to the dentist and get a professional to whiten your teeth use the same technique with baking soda and you’ll get the same results. I’m sure most of you have heard about the Food Pyramid, it shows you the best way to start a balanced diet and keep a balanced for the rest of your life. Okay then, what do I do first? Do you have a schedule I can use? What should I eat at what times? Sometimes most people have a snack before lunchtime, try munching on some cheerios (your daily grains) or have vegetable/fruit something healthy. For lunch were all normally at school, so I suggest when you pack your lunch you should take food items that will last through the entire school day. I normally have a tuna sandwich, with a banana (protein again). For a drink I have water, cool and refreshing…try something balanced and nutritional like that (I’m sure you can think of something). If you’ve just come home from school and want another snack, try crackers with peanut butter (or cheese, you know something edible like that =D). For a drink to go with it try having some more milk. Normally as teens were not in charge of dinner (mom or dad takes care of that), why not ask them to make a balanced meal? I would suggest you ask them to make a pasta dish, or a rice dish; something with plenty of grains. You could also suggest a meat/poultry dish (chicken, beef or ham). On the side you would want a vegetable group, try broccoli or cauliflower. For desert try dark chocolate (just plain dark chocolate, its good a very good for you), or try a fruit dish. That’s the schedule I recommend, of course its normally you can’t keep a perfect schedule this is just an example. Try making up your own balanced meal schedule, stick to the Food Pyramid rules and you’ll be fine :D.